Christopher Wheeldon's Alice's Adventures in Wonderland© painted the town purple in 2017. Now it's back to capture our imaginations once again. This hilarious, colourful, tender ballet version of the classic children's book by Lewis Carroll is alive with drama, puppetry and pizzaz. Here are five tempting titbits to pique your appetite. Joby Talbot composed the specially commissioned score for Alice. Experienced in writing for both film and ballet, Talbot conjured up cinematic, fanciful music with themes for each main character. Wheeldon says, "I knew, after hearing the first seven minutes, that it was absolutely the sound world we needed to be in for Alice." Wheeldon's Alice is a little older than Carroll's - The Royal Ballet's Sarah Lamb, one of the original Alices, describes her as "coming out of childhood, and into adolescence". She has a crush on the Gardener's Boy, Jack, and gives him a jam tart; her mother accuses the boy of stealing it, and fires him. When Alice falls into Wonderland, her stern mother becomes the raging Queen of Hearts, and Jack becomes the Knave of Hearts, under threat of execution. 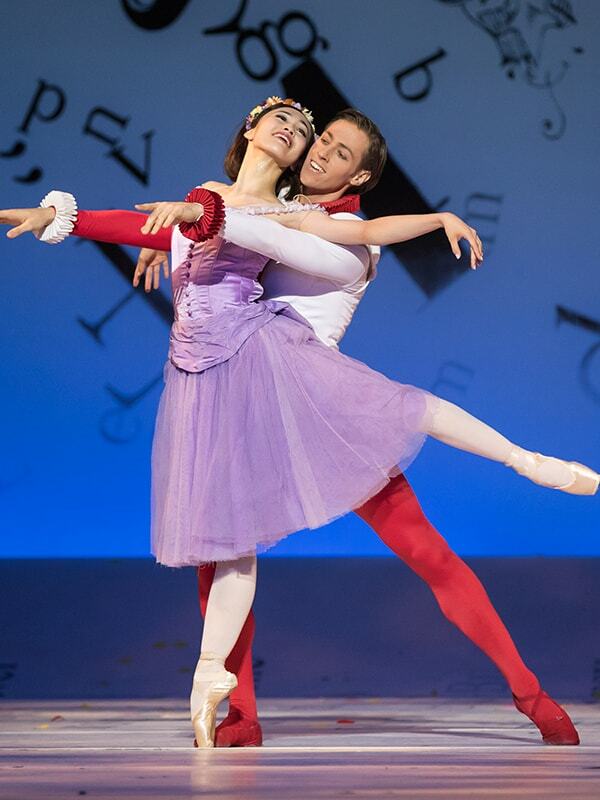 He and Alice dance a shyly tender pas de deux, full of arches and heart shapes - The Guardian describes it as having a "spun-sugar lyricism". Who doesn't love a good villain? Fantastically costumed, fanatical and permanently enraged, the axe-wielding Queen performs a dance with her entourage (the "Tart Adage") that playfully parodies Aurora's famous balances in The Sleeping Beauty. 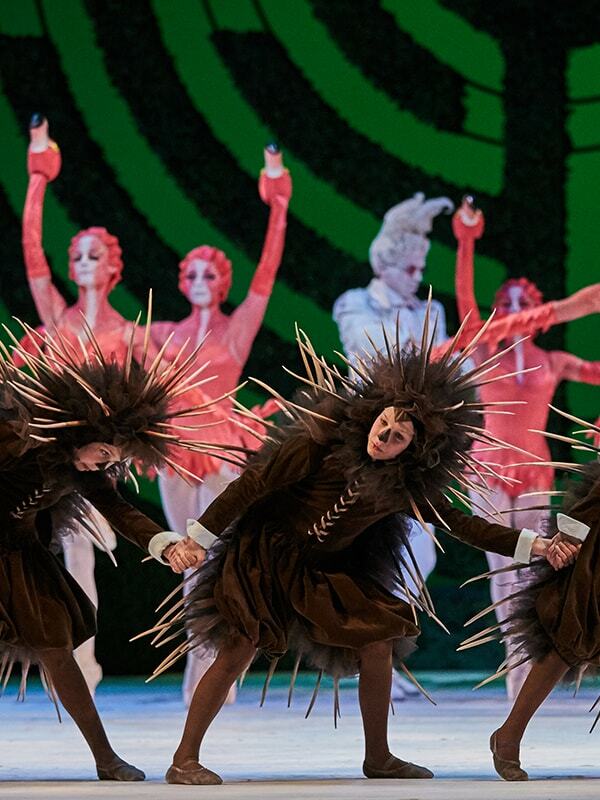 Although Alice is based firmly around Wheeldon's classical ballet vocabulary, he roams over a wide range of styles, from the sensual "Oriental" moves of the Caterpillar to the Busby Berkley-inspired patterns of the Flowers. His ballet has the scope and vibrancy of a Broadway show, and fittingly, it's designed by Bob Crowley, who collaborated with Wheeldon on his Tony-award winning musical An American in Paris. 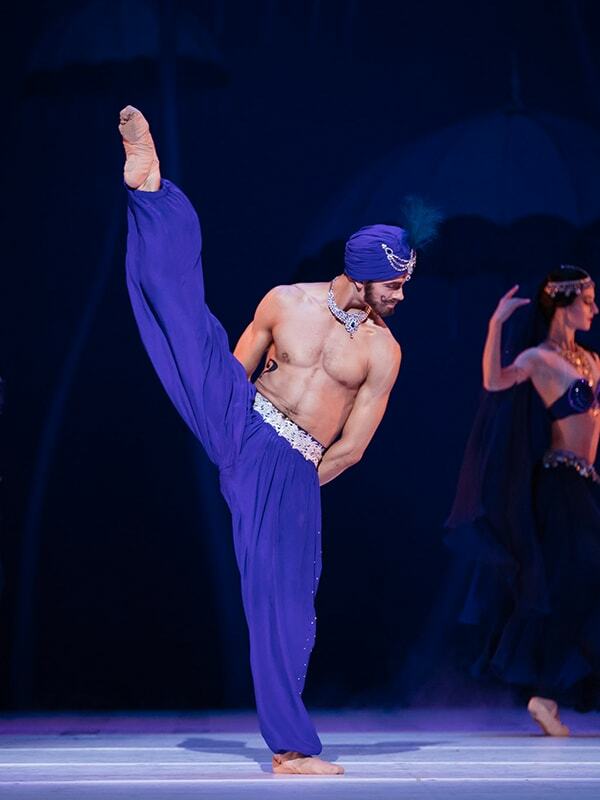 Wheeldon says of Crowley, "He knows how to create stage magic." 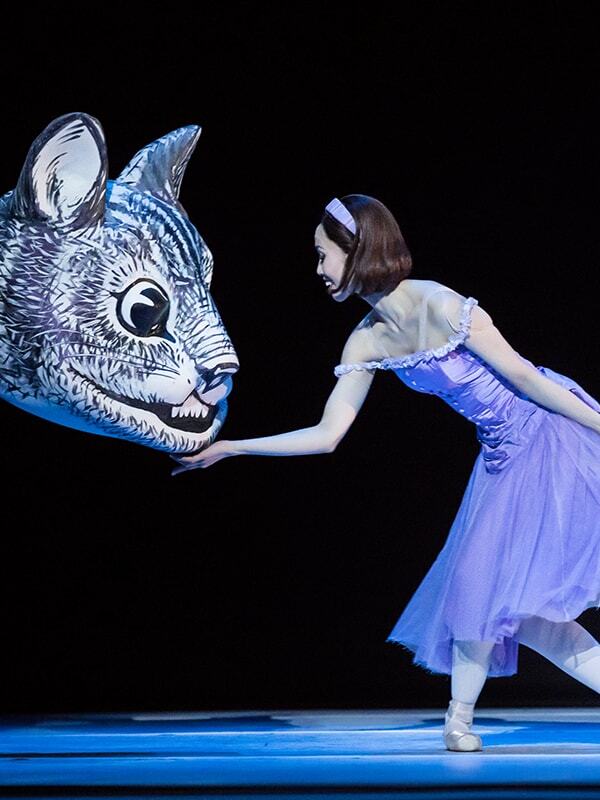 Hedgehogs, flamingos, pigs, frogs, a Dormouse, a White Rabbit, and of course, a widely smiling Cheshire Cat - the animal characters of Carroll's tale are brought to adorable (or not so adorable) life by ingenious combinations of costumes, masks, projections and puppetry.